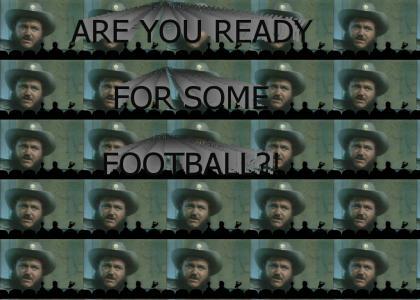 Look... Are you ready for some football?! Slogan... there is no way in hell you are ready fer sum FOOTBALL! Anything you say can and will be used to GET YOU READY FOR SOME FOOTBALL!